Joan Brossa (Barcelona, Spain, 1919 – 1998) poet, playwright and artist, is the most important poet of Catalan avant-garde. His work is distinguished by its special ability to move the poetic thought beyond their usual boundaries. 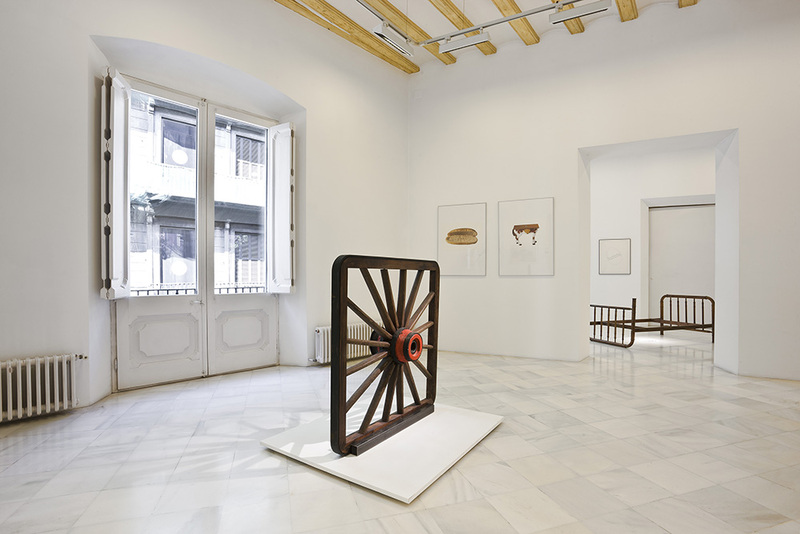 Unclassifiable, drinks both popular Catalan culture as avant-gardes to connect with the conceptual Art and Arte Povera. He releases the poems making successively in image, object and installation. In 1948 he founded the magazine Dau al Set with Antoni Tòpies, Joan Ponç, Modest Cuixart, Arnau Puig and Joan Josep Tharrats. 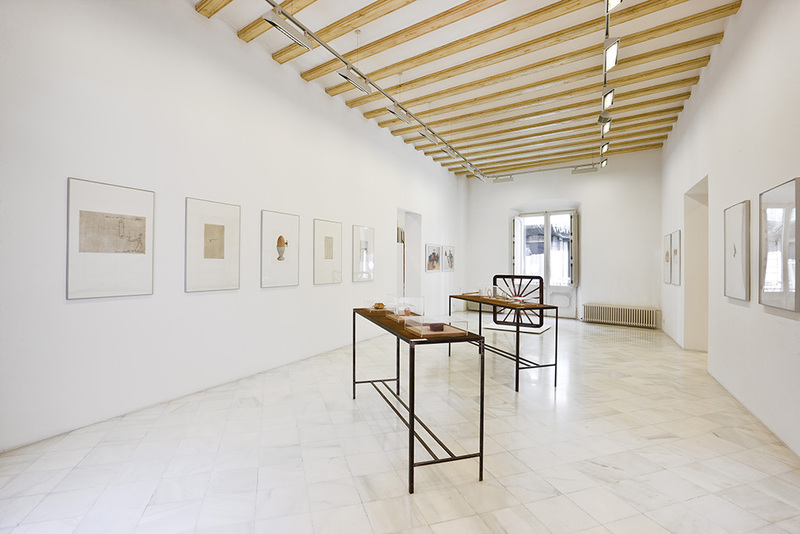 Later, in 1951 participated in the first group exhibition in Sala Caralt with three experimental poems, which could be considered the start of object poems by the artist. At the end of forties, he met with Joâo Cabral de Melo, whom was decisive for his conversion to Marxism and his commitment to society. All Brossa’s poetry is full of visual references; perhaps, this was one of the most important reasons for his foray into the world of plastic. It was during the sixties and seventies, when he conceives best-known visual poems. In the eighties, he received a lot of orders, including posters and visual poems to the street. He did not need the tools that he had at home, because he has entire rooms available only for himself. Thus, began the first installations between 1990 and 1991, which were gradually increasing. 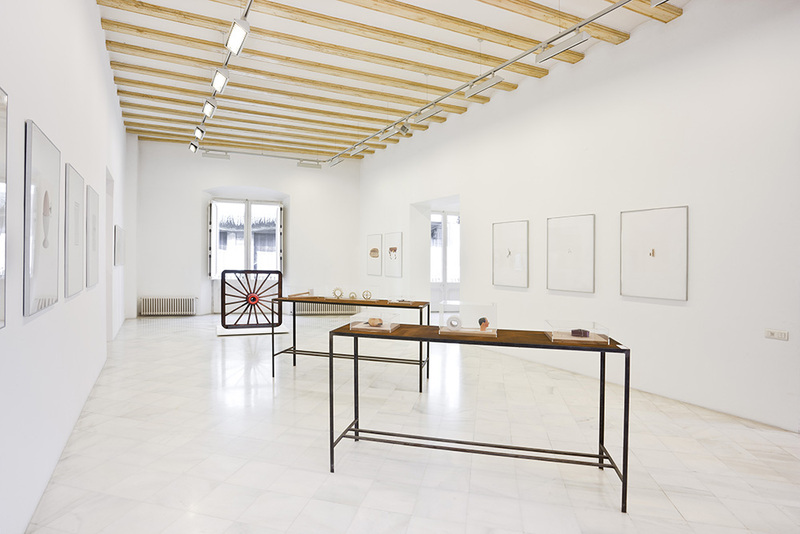 Miguel Marcos Gallery opens its headquarters in Barcelona in 1998 with “BROSSSSA. Quatre emplaçaments” exhibition from 27 February to 30 April 1998, 5 facilities expressly made for the opening of the gallery. After this, they have happened 4 single exhibitions more about the poet, “BROSSA Sempre!” (1999); “Joan Brossa, Sempre! Sempre! !” (2004); “Enganyifa” (2009). Enganyifa is the title of a Brossian poem, included in the book “Calcomanies”. But Enganyifa is also the last work of Joan Brossa. He conceived for the gallery Miguel Marcos shortly before he dying victim of a tragic domestic accident. And in late 2011, the exhibition “Em va fer Joan Brossa”, which is the title of another book Brossian. 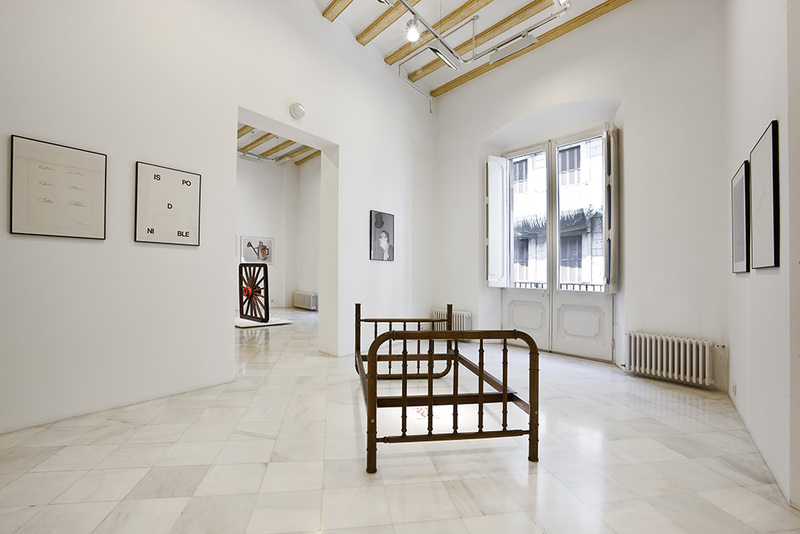 Again, Galería Miguel Marcos pays tribute to this new exhibition, Joan Brossa. Visual poetr, object poems, where you can see some object unpublished poems such as A d'Entrepà, Barrets, Cinema, La maça del temps, Nocturn, Roda, Trap, Vell… As well as, some of his most representative visual poems.